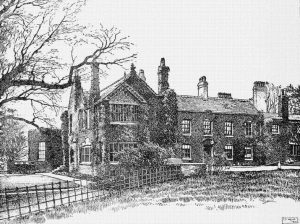 1) (Whalley House, co. Lancaster, formerly of Whalley, near Blackburn, in the same co.). Gu. on a chief ar. a lion pass. guard. of the first. Crest—A demi lion holding betw. the paws an arrow ppr. Motto—Finem respice. 2) (Flitwick Manor, co. Bedford). Or, a cross per pale gu. and sa. Crest—On a mural crown an otter ppr. Motto—Ut amnis vita labitur. 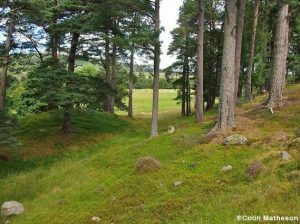 3) (Forest of Glen-Tanar, co. Aberdeen, and Barlow Hall, co. Lancaster). Ar. three bars wavy az. over all a cross flory erm. in chief a fountain. Crest—A demi lion ramp. vert charged on the shoulder with a fountain and holding betw. the paws an anchor. Motto—Finem respice. 4) (or Brookes) (Scotland). Sa. three escallops or. Crest—A beaver pass. Motto—Perseverando. 5) (granted to Maurice Brooks, Esq., Lord Mayor of the city of Dublin, 1874). Az. on a cross engr. ar. a civic crown vert, in the first quarter a trefoil slipped or. Crest—On a mount vert a badger pass. ppr. the dexter fore paw resting on a civic crown, as in the arms. Motto—Respice aspice prospice. 6) (William Cunliffe Brooks, Esq., of Barlow Hall, Manchester, co. Lancaster, and 5, Grosvenor Square, London). (Crawshaw Hall, co. Lancaster; Thomas Brooks, Esq., of that place, J.P. and D.L., High Sheriff 1884). Ar. three bars wavy, az. a cross flory erminois, in chief a fountain. Crest—a demi lion ar. charged on the shoulder with a fountain holding in the paws a harpoon in bend sinister ppr. Motto—Finem respice. 7) Argent a bridge gu over a brook azure(?) on the bridge an embattled tower vert flagged gu. Crest: a mailed sinister arm erabowed, holding a scimitar. Bookplate Francis Brooks. Also of Abijah Brooks, 1752-1829, of Stratford, Conn. (Source: Bolton’s American Armory). 8) Az a bridge of 3 arches chequy charged with 3 pellets. On the bridge an embattled tower purpure charged with 3 pellets, a pennant flying. Crest: a mailed arm emb, holding a scimitar. Bookplate Benj. N. S. Brooks. Doolittle, fec. (Source: Bolton’s American Armory). 9) Or 8 fleurs-de-lis 3, 2, 3. Bookplate James C. Brooks, C. P. Gray, Oct. 1905, A. W. Macdonald, engr. (Source: Bolton’s American Armory). 10) Quart 1 and 4: Sa an estoile of 8 points arg; 2 and 3: Arg a pine tree. Crest: a broken ship, sails set. Bookplate I. Hobart Brooks, Boston. (Source: Bolton’s American Armory). 11) (Wanting, co. Berks, Richard Brookes, b. 1647, son of Richard Brookes, and grandson of Richard Brookes, all of Wanting Visit. Berks, 1664-6). Or, a fess vert in base three clubs ppr. 12) (Tetbury, co. Gloucester). Or, a cross engr. per pale gu. and sa. Crest—A brock or badger ppr. This is a topographic last name denoting a person who lived “at the brook”. A brook generally refers to a small river (sometimes in a rocky area, and sometimes in a clear field). The terminating letter S is common in short spot-names (ex. Briggs, Styles), and it was not common until modern times. The name has Germanic and Anglo-Saxon origins. In Germany, it was sometimes found in old times with the aristocratic prefix “von”. It is also possible that it is a patronymic or baptismal surname meaning “the son of Brook”. It is a possessive form of the surname Brook. 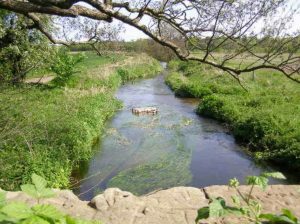 It derives from the Old English word broc, Middle English brook, Low German brook, and Dutch broek, meaning “brook or stream”. It may also have French origins.There was a Baron who accompanied William the Conqueror during the Norman Invasion of 1066 AD whose name was deBruc. George Fraser Black’s 1946 book The Surnames of Scotland, states the following in regard to this last name: “Practically the same meaning as Brook which see. For -s see under ‘Some Letter Changes.’ Probably of recent introduction from England”. 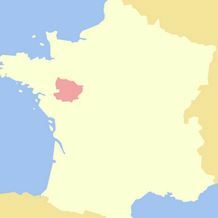 The family originated in Broc, which was in Anjou, a historical region in western France, and later came to became established in county Essex after the Norman Invasion, where Robert le Broc and Ranyllph le Broc held estates in 1119 AD. Common spelling variants or names with similar etymologies include Brookes and Brook/Brooke (please run a separate search for these names because they have their own, different coats of arms). It can also be an Americanized spelling of the German surname Brucks. It’s etymology makes this name similar to the last names Beck and Rundel. Similar names from mainland Europe include Broeckx (Flemish), Brucks/BruckschBruksch (German), and Dutch (Broeks).Its medieval forms are Ate-Broc, Atte-Broc, and Attenbroke. Less common spelling variants of this last name include Broocks and Brecks. The last name Brooks ranks 77th in popularity in the United Status as of the 2000 Census. The name ranks particularly high in the following five states: Georgia, Virginia, Maryland, Alabama, and Tennessee. The surname Isaac frequency/commonness ranks as follows in the British Isles: England (123rd), Scotland (443rd), Wales (131st), Ireland (1,025th) and Northern Ireland (684th). In England, it ranks highest in Oxfordshire, Buckinghamshire, and Leicestershire. In Scotland, the Brooks surname rankest highest in Sutherland. In Wales, it ranks highest in Monmouthshire. In Ireland, it ranks highest in county Clare. In Northern Ireland, it ranks highest in county Armagh. The name is also present throughout the remainder English speaking world: Canada (241st), New Zealand (318th), Australia (167th), and South Africa (601st). The 1890 book Homes of Family Names by H.B. Guppy, states the following in regard to this surname: “Brooks, or Brookes, is the most numerous of the two names; but the fact that Brook, or Brooke, is frequently found in those counties where Brooks, or Brookes, is absent or uncommon, renders it necessary to consider the distribution of the two names together. They are well distributed over England, except in the counties north of Lancashire and Yorkshire. Their principal centres are in the West Riding and in Somerset”. The earliest known bearer of this surname was Eustace del Broc who was documented in the Pipe Rolls of Northamptonshire in 1130 AD. Rand de Broc was documented in the Pipe Rolls of Hampshire in 1157 AD. William de la Broke who was documented in Surrey, England in 1208 AD. In Germany, Johann Broker was recorded in Kiel in 1367 AD. In Scotland, Thomas Bruke was documented in the city of Aberdeen in 1483. 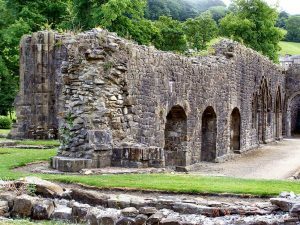 The Hundred Rolls of 1273 AD, a census of Wales and England, known in Latin as Rotuli Hundredorum lists two bearers of this surname: Alice de la Broke and Laurence del Broc. A one William atte Brouke was documented in county Somerset in 1327 AD in Kirby’s Quest. A one Richard atte Brook, vicar of Horseford, was recorded in Norfolk in 1419 in the Calendar and Inventories of the Treasury. Edelina del Brok and Robertus del Brok were recorded in Testa de Neville sive Liber Feodorum during the time period of Kings Henry III and Edward I of England. An early baptism involving this name was Edward, son of Hugh Brooke, at St. James Clerkenwell, London in 1604. An early marriage involving this surname was Martha Brookes to John Thornell in London in 1616. William Cunliffe Brooks, Esquire of Barlow Hall, Manchester, and Grosvenor Square, London was a Member of Parliament, who in 1842, married Jane Elizabeth, daughter of Ralph Orrell of Stockport, nad had two daughters with her: Amy (married Charles, 11th Marquess of Huntly) and Edith (married Lord Francis Horace Pierrepont Cecil). He was the son of Samuel Brooks and Margaret Hall. He was educated at Rugby College. 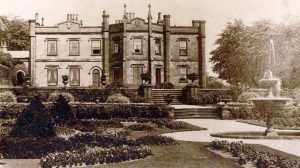 He was Justice of the Peace and Deputy Lieutenant for county Lancaster, as well as a Magistrate for the city of Manchester, and Lord of the Manor of Ashton-on-Mersey. 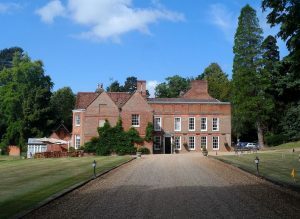 John Hatfield Brooks, Esquire of Flitwick Manor House in county Bedford, was born in 1824 and was Justice of the Peace, Deputy Lieutenant, and Major in the 19th Hussars. In 1850, he married Sophia Margaret, daughter of Henry Cloete of Westerford, and had two daughters with her: Catherine Mary Frances and Marianne Sophie Eugenie. The Brooks genealogy or lineage traces back to George Brooks, Esquire of Flitwick Manor House, born in 1741, who was High Sheriff in 1796. He first married, R. Kirton, and had issue with her: 1) John (married a woman named Harriett and had five children), 2) Sophia (married Reverend Francis Drake of Langton). In 1789, he married Anne, daughter of Jeffrey Fisher of Maulden, and had issue with her as well: Francis, George, and John Thomas. He was succeeded by his son, John Thomas Brooks, Esq. of Flitwick Manor House, who was born in 1794, and in 1816, married Mary, eldest daughter of Alexander Hatfield of Twickenham (descended from Adam de Hatfield who lived in 1327 AD), and had four children with her: John Hatfield (mentioned at the beginning of this paragraph), George Henry (of Doctor’s Commons, The Lodge, and Old Windsor, married Louisa Pepys), Reverend Thomas William Dell (Vicar of Flitwick, married Harriette, eldest daughter of Reverend G.W. Brooks), and Mary Anne. He served in the 14th Light Dragoons, and was Justice of the Peace and Deputy Lieutenant for Bedford. He died in 1853. The Brooks Coat of Arms (erroneously called the Brooks Family Crest) is blazoned in heraldry as follows: Or, a cross per pale gules and sable. Crest: An otter on a mural crown proper. A one John Brooks was born in England in 1575 AD. He married a woman named Indian and had a son with her, also named John. This John Jr. Brooks or Brooke was born in London in 1587. He married a woman named Penepole. Wikitree.com states “It is speculated that on his first trip he married a Native American Woman and brought her back to England. He left her in England to give birth while he went back to Roanoke on the second voyage of Raleigh where John Brooke and the rest of the colony were lost”. They had a son named John. This John III was born in 1624 in Bampton, Oxford or Bolton, Lancashire and he married twice: Joane Gill and Mary Ball. He had five children: Elizabeth, Francis, John, Mary, and Thomas. His son Thomas Brooks was born in Kempston, Bedfordshire in around 1652. He married Mary Taylor and was the father of Mary, Thomas, Elizabeth, John Esq. Sr, William, Robert, Sarah, and Willougby. His son John Brooks Esquire, Senior, was born in Bolton, Yorkshire, England around 1685. 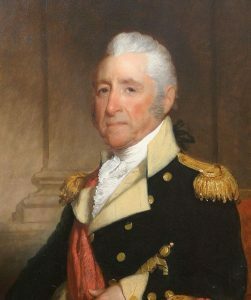 He married Susaan Winifred Narsin and later went to colonial America. He had the following issue: Thomas, Joab, John Jr., Mark, James, Isaac, and Martha (Goodman). His son Thomas was born in England in 1710 and he married Virginia (and/or Mary?) Harris and had the following issue prior to his 1796 death in Chatham, North Carolina: Rebecca (Martin), Stephen, Thomas Jr., Samuel, Rebecca, Aaron, and Christopher Sr. His son Christopher Brooks was born in Granville, North Carolina in 1750 and married a woman named Nancy, with whom he fathered the following children: Christopher Jr., William P., Thomas Edward S., and Thomas F. His son William P. was born in Franklin County, NC around 1786. He married Louraina Freeman and had two issue with her, one daughter and one son: Elizabeth Caroline (Davis) and James Noal. His son James Noal Brooks who born in North Carolina in 1837. He married twice: Margaret Catherine Cravens (1858) and Sarah Jane Dye (1866). He had the following issue: George Gentry Cravens, Margret Evelyn (Lewis), Nancy Jane (Cook), Thomas Reuben, Della, Rosella, Joseph Kimbrew, and Bertie. His son Thomas Reuben Brooks was born in Perry County, Illinois in 1869. He married Ursula Jackson and had two daughters with her prior to his 1939 passing: Louise B (Lively) and Hallie. Louise was born in Illinois in 1906 and died in 1971. James Brooks was documented as living in Virginia in February of 1623 “at Bucke Row”, as were William Brooks (owned 100 acres of land) and Sibile Brooks “at Elizabeth Cittie”. A one Cutberd Brooks was recorded among the dead in Virginia in the same year. 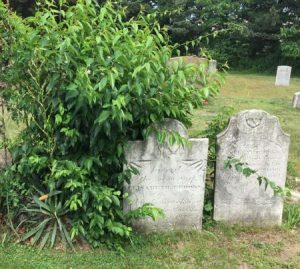 1) Ebenezer Brooks of Woburn, with wife Martha had issue named Eunice (1688), John (1690), Ebenezer (1691), Eleazer (1694), Martha (1697), Eunice (1700), and Priscilla (1702). 2) Gilbert Brooks came aboard the Blessing from London in 1635. He married Elizabeth, daughter of Governor Edward Winslow, and had issue: Gilbert, John, Elizabeth, Sarah, Mary, Rachel, Bathsheba, Rebecca, and Hannah. 8) Captain Robert Brooks of Concord, a freeman in 1636, lived in Watertown, MA, and owned at estate at Metford and Watertown as early as 1634. He was a captain and a representative to the General Court in 1642. He married a woman named Grace and had issue named Caleb (1632), Gershaw, Joshua, and Mary. 9) Thomas Brooks of Haddam, CT, was one of the first settlers there who likely came aboard the Susan & Ellen in 1635 at the age of 18. He may have been a brother of Richard, of Lynn. He had a house in New London in 1659. His wife was named Lucy. He later married Alice, daughter of Jared Spencer, and had children named Sarah (1662), Thomas (1664), Mary (1666), and Alice (1668). His widow later married Thomas Shaler. 10) William Brooks, of Scituate, Massachusetts, who came aboard the Blessing, in 1635, at the age of 20, with perhaps a brother named Gilbert. He lived in Marshfield in 1643. He married Susanna Dunham of Plymouth and had children with her named Hannah (1645), Nathaniel (1646), Mary (1647), Sarah (1650), Marian (1652), Deborah (1654), Thomas (1657), and Irvanna (1659). Other settlers in colonial America bearing this surname who arrived in the eighteenth century include Robin Brooks (Virginia 1705), Francis/Frances Brooks (Virginia 1705), Margaret Brooks (Virginia 1717), Benjamin Brooks (Virginia 1720), and Fran Brooks (Georgia 1738). In Canada, one of the first settlers bearing this name was John Brooks, who came to Nova Scotia in 1749. In Australia, one of the earliest bearers of this name was Joseph Brooks, a convict from London, England who came aboard the Asia in 1820 and settled in New South Wales (then a penal colony). In New Zealand, one of the first bearers was John Brooks, who arrived at Cloudy Bay in 1839. 1) Arg a bridge gu over a brook [az?] on the bridge an embattled tower vert flagged gu. Crest: a mailed sinister arm erabowed, holding a scimitar. Motto: Sustinare. Bookplate Francis Brooks. Also of Abijah Brooks, 1752-1829, of Stratford, Conn. R. Brunton, sc. 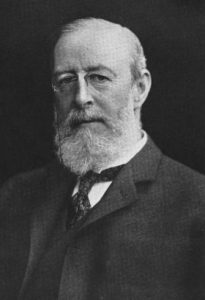 Bates Early Conn. Engr., p. 16. 2) Az a bridge of 3 arches chequy charged with 3 pellets. On the bridge an embattled tower purpure charged with 3 pellets, a pennant flying. Crest: a mailed arm emb, holding a scimitar. Motto: Sustinere Bookplate Benj. N. S. Brooks. Doolittle, fec. 3) [Gu?] a castle arg standing in water [az]. Crest: an armed arm holding a cutlass. These appear to be the Rawson arms with “Brooks” engraved underneath. Engraved on the side of a Saltonstall tankard. Miss Elizabeth H. Brooks, owner. 4) Or 8 fleurs-de-lis 3, 2, 3. Motto: Start in time. Bookplate James C. Brooks, C. P. Gray, Oct. 1905, A. W. Macdonald, engr. 5) Quart 1 and 4: Sa an estoile of 8 points arg; 2 and 3: Arg a pine tree. Crest: a broken ship, sails set. Bookplate I. Hobart Brooks, Boston. Crozier’s General Armory (1904) contains one entry for this name: Henry Brooks of Boston, Massachusetts, 1630, originally from Scotland. Sable, three escallops or. Crest: A beaver passant. Matthew’s American Armoury (1907) and Bluebook contains two entries for this name. The first is James Gordon Carter Brooks, who was born in Salem, Massachusetts in 1837 and married Rose, daughter of Samuel Thomas Hambleton of Maryland, and had four issue with her: Charles Richardson, James Hambleton, Alice Hawthorne (married George J. Farnsworth), and Edith Gordon (married Blaksley Collins). 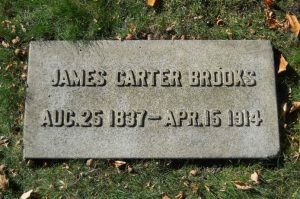 He lived in Chicago, Illinois and was the son of William Hathrone Brooks and Sarah Carter. He descended from Henry Brooks (born 1625 AD). His arms were blazoned in heraldry as follows: Savle, three escallops or. Crest: A beaver passant. He resided on Cass Street. The second is Henry Brooks, born in Cheshire England, who settled in New England in 1660. He bore the same coat of arms as the aforementioned. There are hundreds of notable people with the Brooks surname. This page will mention a handful. Famous people with this last name include: 1) Arthur C. Brooks (1964) who is an American socialist scientist born in Spokane, Washington who is the president of the American Enterprise Institute, a conservative think tank, 2) Arthur Raymond Brooks (1895-1991) who was a World War I flying ace in the United States Air serviced credited with shooting down several enemy planes, 3) William Thomas Harbaugh Brooks (1821-1870) who was a military officer that was a Major General for the union during the American Civil War who born in New Lisbon, Ohio, 4) Nona Lovell Brooks (1861-1945) who was the leader of the New Thought movement and founded of the Church of Divine Science born in Louisville, Kentucky, considered to be “the prophet of modern mystical Christianity”, 5) Mary Elizabeth Thomas Beavey Brooks (1907-2002) who was the 31st Director of the United States Mint (1969-1977), as well as a state Senator from Idaho from 1963-1969, 6) Mark David Brooks (1961) who is an American professional golfer from Fort Worth, Texas, who has seven wins on the PGA tour, including the 1996 PGA Championship, 7) Lawrence Lee Brooks Sr. (1950) who is a former professional football player who played defensive tackle for the Los Angeles Rams from 1972-1982 and was born in Prince George, Virginia, and 8) John Brooks (1752-1825) who was a doctor and military officer who became the 11th Governor of Massachusetts and served from 1816 to 1823, 9) John Brooks (1785-1869) who was the ninth mayor of Columbus, Ohio, elected in 1834, 10) Joshua Twing Brooks (1884-1956) who was a Democratic member of the U.S. House of Representatives from Pennsylvania’s 30th district from 1933-1937, and 11) Huber Brooks (1921-1984) who was an officer in the Royal Canadian Air Force who was also a hockey player born in Bluesky, Alberta. The main heraldic symbols in the Brooks Coat of Arms (erroneously called the Brooks Family Crest) are the escallop, beaver, and bridge. In the mediaeval period there was no real percieved difference between real and mythical animals, after all, much of the world remained unknown and who was to say what strange and magical creatures existed in distant lands? Nevertheless, real animals are perhaps one of the most common sights on coats of arms, especially animals of European origin. The beaver Is a typical example of these. The bridge can signify a governor or a magistrate.